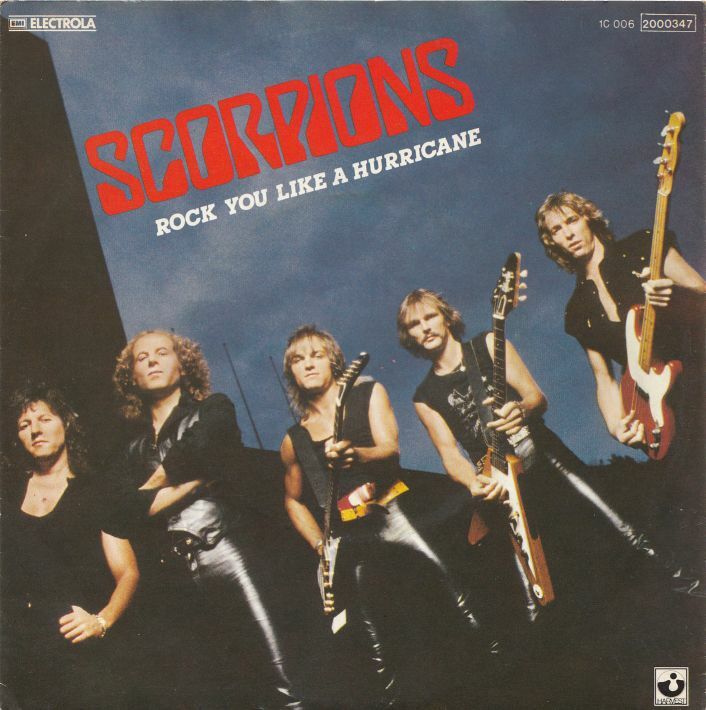 Rock You Like a Hurricane is a song by the German heavy metal band Scorpions. The song was released as the second track of their 1984 album Love at First Sting. Scorpions are a German hard rock band formed in the year 1965 by guitarist Rudolf Schenker, who is the band's only constant member (although Klaus Meine has been lead singer for all their studio albums). 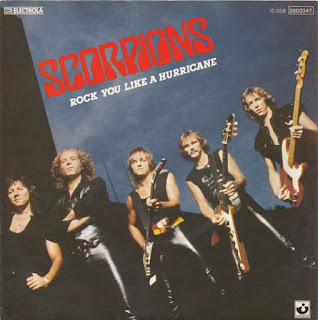 They are known for their 1980s rock anthem "Rock You Like a Hurricane" and many singles, such as "No One Like You", "Send Me an Angel", "Still Loving You", and "Wind of Change". The band was ranked No. 46 on VH1's Greatest Artists of Hard Rock program. "Rock You Like a Hurricane" is also No. 18 on VH1's list of the 100 Greatest Hard Rock Songs. On January 24, 2010, after 45 years of performing, the band announced that they would be retiring after touring in support of their new album Sting in the Tail, although this decision was eventually retracted. The band has sold over 100 million albums worldwide.